Introducing ThinkDope’s newest series, Digital Digging, where we roundup 5 songs we’ve found digging through the virtual crates of the Internet. In our inaugural edition I show some music from a few A3C artists I’ve discovered as well as some awesome tracks. Chi City really created a track that gets you up and motivated for the day to come. His upbeat flow makes it so you just can’t help but smile and feel positive. This track by ChevyWoods got my attention because I’m really feeling the dark melodic tone of the beat. ChevyWoods flow just compliments this track and gives you something you can just clear your mind and vibe to. Andre Nickatina has that lyricism that I feel like has been missing for some time. The late 90’s / early 2000’s vibe that this song gives off really caught me. It’s been a while since I’ve heard a track thats both dope to listen yet deep at the same time. It’s a bit reminiscent of a young Eminem and Dr. Dre track. As a big fan of late-night drives to clear my mind, I have a certain requirement for my playlist; the track has to make me think, and well just be something I vibe out to. Typ iLL does it with a smooth beat and lyrics that make you think about life and appreciate it more. By the way, you should check out our interview with Typ iLL. If you’re looking for something to bump early in the morning, this track by Berner is for you. It has that airy flow to it that you can relate to while in that early morning funk. 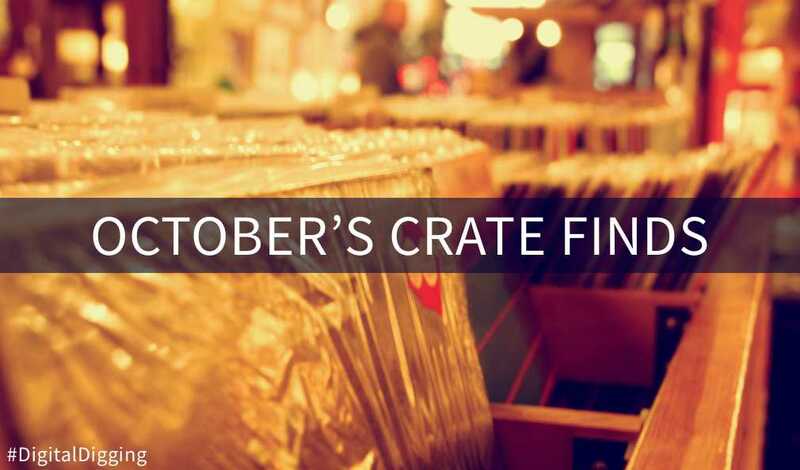 Header image based on “Crate Digging (5/365)” by Sal, CC-BY-2.0. Digital Digging is our monthly series where we roundup 5 dope music tracks we’ve found digging through the virtual crates of the Internet.